Soil compaction is a serious problem for trees. Healthy trees come from healthy soil. 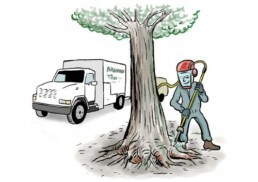 In an urban landscape soil compaction is the most significant threat to tree health. Pedestrian traffic, construction equipment, turf grass installation, and a variety of other causes can lead to soil compaction. In most cases a trees health is a direct reflection of its roots and the soil that they are in. A good soil structure is comprised of nutrient rich material that is full of organic components and plenty of pore space. A trees fibrous roots depend on these pores to breathe and develop. As they grow they move through the soil and into these pores in search water, oxygen and nutrients. When the soil around the root zone is compacted the pore space is reduced significantly and in occasionally completely eliminated. When this happens, the roots are deprived of the oxygen that they need and are suffocated. The compaction of the pore space also reduces the trees ability to absorb water and uptake nutrients. No water, no food and no air is very bad for the tree. If compacted soil is left untreated it will lead to the trees death. 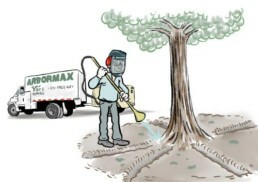 Here at Arbormax we offer a number of service to help repair damaged soil. Please take a few minutes to look over the following techniques that we use to help alleviate compaction, and restore soil health..
A root collar excavation is a simple process that is performed with our specially designed air powered excavation tool. The tool uses compressed air about 90-120 PSI to fracture soil clumps and compacted layers within the soil. Once the soil has been excavated to a depth of 6-12 inches the root collar will be exposed. This process is not only a great way to help reduce compaction, it is also a method that allows us to inspect the root collar of a tree for defects. Most root collar excavations are only done in the immediate area of the tree trunk. This is where the root collar is found. Adding good soil and the right additives back in is almost as important as the aeration process itself. After the excavation process is complete it is important to make the necessary amendments to the soil structure and profile. 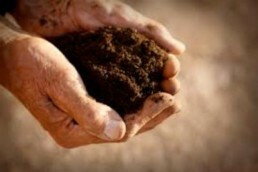 Healthy soils are comprised of 50% pore space, 5% organic material and 45% minerals such as dirt, clay, sand and rocks. We always recommend taking a soil sample to analyze the nutrient content. A custom blend of nutrients tailored to your trees specific needs can be can be added to the soil along with microorganisms and beneficial fungi such as mycorrhizae. Our certified arborists are the best in the biz at identifying soil deficiencies and repairing them.